Some people call it Ciaccia Toscana. Others call it Italian street food. There are those who go as far as calling it a recipe as old as time. But for us, it will always be the irreplaceable and incomparable focaccia bread. 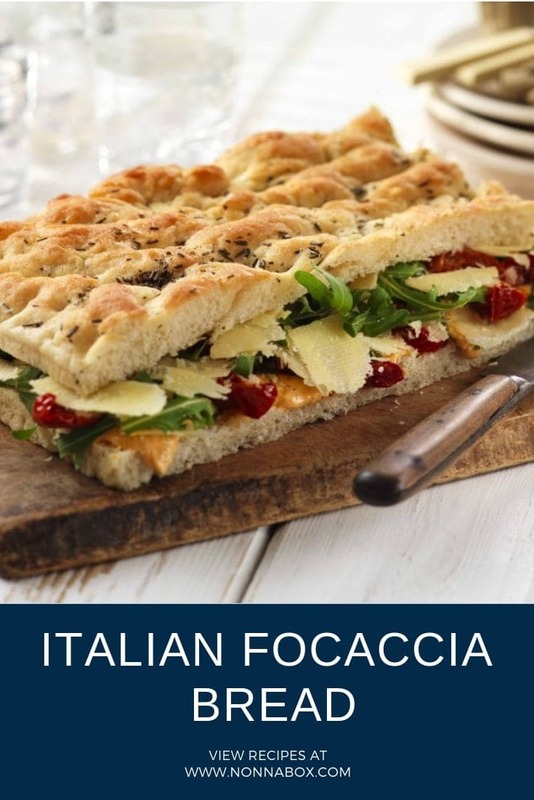 It’s a must that you should try at least once this authentic Italian focaccia bread recipe, because focaccia just smells like your childhood. No, it really does. It fills the house with an amazing smell, which has a special nostalgic feel to it. Speaking about kids, it’s something that even they will love to eat as a snack in the morning. After all, even though the Italian desserts are the best, some variety doesn’t hurt. For the adults, it has a summer-y feel to it, as it’s that kind of energizing snack you love to eat, after taking a dive and going out for a swim with friends. It’s the perfect aperitif which goes hand in hand with a cold drink. It’s so simple, yet so delicious, that by the time you will get to that last bite, you will wonder where did it go, as it happens with most Italian dishes. 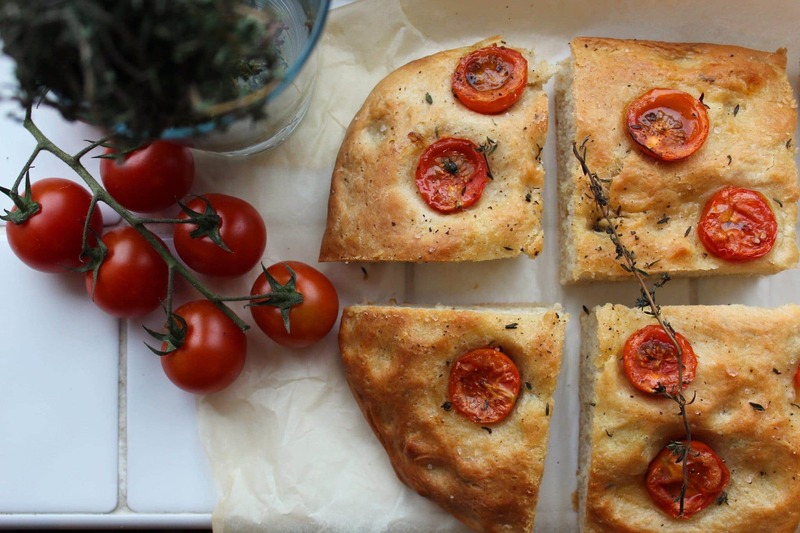 A lot of people think that focaccia bread is difficult to make, however it's super easy. Try this recipe yourself and let us know! To prepare the focaccia bread, begin mixing together in a cup the yeast with sugar, then pour it in a larger mixing bowl, adding flour. Mix the milk with the water in another bowl. Stir it with a mixer, pouring the milk and water you mixed. Add oil and continue kneading, until the dough begins to take a little bit of consistency. Pour salt and continue kneading for 15 minutes more, until the dough is well-strung. As the dough will be moist, you will need a spatula to detach it from the hook of the mixer. Transfer the dough to your work surface, after you have sprinkled flour on it, to avoid getting stuck to the table. Knead it by hand a couple of times, trying to form a round composition. Pour the mixture into a bowl, cover it with plastic wrap and let it rise at room temperature, for about 2 hours. It is recommended to place it in an oven as it’s turned off, but with the lights on. Grease a baking pan (preferably a rectangular one), carefully brushing the entire surface. Along the edges, pour the mixture inside after letting it rise, and grease your hands, so that they won’t stick to the dough. Begin to straighten it with the fingertips, distributing it evenly, until it covers the entire surface and sides. As it’s a hydrated dough, if you don’t have enough to fill the entire mold, let it sit for a few minutes before continuing to stretch it. When finished, cover with plastic wrap and let rise for another hour in the oven turned off, but with the lights on. Once the waiting time is over, poke holes in the dough using the tips of your fingers covered in oil. Sprinkle it with oil, rosemary leaves and salt flakes. Your focaccia bread is ready to be baked in oven at 180 °C (356 F) for about 35-40 minutes, in the lower part. Check if ready by looking through the window of the oven, without opening it. Once done, remove it from the oven and enjoy it plain or stuffed! Focaccia tastes best if it’s eaten upon completion, but it can be stored in a sealed bag up to two days. Remember to warm it in the oven before eating. If you don’t have time to let it rise, you can let the dough rest in the fridge, while covered with plastic wrap, for about 12 hours. Afterwards, you can resume the authentic Italian focaccia bread recipe next day, by taking it out of the fridge and letting it reach the room temperature. So delicious and easy to make, thank you!